Do you have customers who simply have not paid on their invoices? Collections could be an answer, but when should you resort to this, how does it work, and how does it differ from invoice factoring? There is a common misconception that collections agencies and invoice factoring companies are similar. This could not be further from the truth. Both receive money from your customers, but there are some major differences. Invoice factoring allows you to receive payment now for invoices due to be paid later. Collections will attempt to retrieve money now that is already past due, and unlikely to be paid in the future. What should you do when customers don’t pay? If you have exhausted all avenues, consider the collections process. It involves a third party agency that will attempt to retrieve your money through a series of communications and legal processes. If the money is successfully collected, the collections agency will forward you the balance minus a significant percentage agreed upon in advance. Collections agencies are generally dealing with old debt. Invoice factoring companies purchase your current accounts receivables and pay you now. They forward you a large portion of the invoice immediately, with the remainder paid once your customer pays the invoice in full (minus a small factoring fee). Your customer has not paid late, or showed any indication of non-payment. The big difference can be seen in the age of the outstanding invoices, the likelihood of your customer paying, and the amount of the fee charged. Factoring fees are generally considerably lower than their collection company fee counterparts. Collection fees are much higher as they are dealing with companies who, in many cases, are unlikely to pay, or whose outstanding invoice is over 90 days late. The element of risk is considerably larger for a collections agency. The common thread is that both factoring companies and collections agencies are helping businesses receive payment for completed work. The most important differentiator in terms of service is that a factor will not be harassing your customers for payment. Should your customer be late paying there will be a reminder that it is time to pay, but the immediate approach is not one of aggression. It is rare that a company is late with payment to a factor. However the same cannot be said when a collections agency is employed! If you really have exhausted every possible avenue to get your customers to pay, a collections agency may be the answer. You may have already tried communicating with your customer, to no avail. However, you should know what to expect when dealing with a collections agency. Make sure and research the type of collection service that is right for your company. The ACA International provides valuable advice and will help you make the right connections. Nolo.com offers suggestions on the best way to communicate with your customers when payment does not seem to be forthcoming. 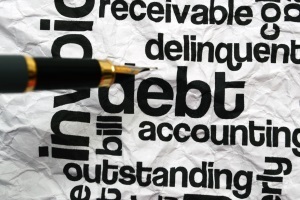 Factoring your accounts receivables can take the worry out of non-payment. Invoice factoring companies will vet your customers for any credit risk, meaning you don’t have to. When it comes to invoice factoring, Bay View Funding offers a wealth of knowledge and experience and can explain the process in easy steps to establish if factoring is the right choice for your company.